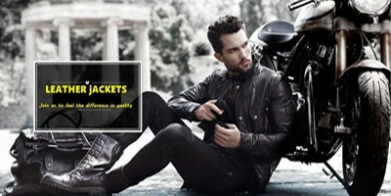 TrendsFashion Incorporation is an online leather jacket store that sells finest leather jackets for both the men and women using the premium quality of cowhide, sheepskin as well as Goat Leather material. We provide you with your favorite celebrity leather jacket at the best available price with secure checkout and an 24/7 customer service for your assistance. HOW MUCH TIME DOES IT TAKES FOR THE ORDER TO DELIVER? The orders you place will be delivered to you within 7 to 10 working days, Some countries like Russian Fedration,Brazil,Israel may take 15 to 20 working days because there cutom take longer time. after your payment has been cleared. Often the shipment delays are tied to payment related problems or quality checking. So if you have not heard from us, kindly check to see if your payment has been cleared. The availability of the product, the confirmation of your order, and order tracking information will be forwarded to you via email. The email is generated once your payment clears. It takes time so your patience is required. HOW DO WE DELIVER WHAT WE CLAIM? We exploit state-of-the-art order/inventory management systems and collaborating with some of the most efficient and trusted couriers such as DHL, Fedex,UPS and other Express Courier. To make timely delivery, we heavily rely on you to provide correct shipping address along with the contact number and other essential contact details. Also We will put lower Value on box just to avoid any extra charges,Custom duites in your country so do not get confused, After this if they charge you and custom charges or tax we are not responsible for that buyer has to pay those charges. Note: We do not ship to PO Boxes APO / FPO addresses; therefore, it is necessary that you provide us with your complete residential/Commercial shipping address. WHY YOU MAY EXPECT SHIPMENT FROM DIFFERENT LOCATIONS? Being an international concern, we have operations in several countries, including the US, Europe and parts of Asia. To make it logistically possible to deliver your product in a timely fashion, we may ship your order from overseas warehouses. Please understand that no matter where your product is shipped from, it has gone through our rigorous quality control process, and we stand behind our product completely. If you are unsatisfied with our product at any time, we will happily provide you with a full refund. For any further information about our shipping policies and procedures, feel free to contact us at sales@angeljackets.com. WHAT HAPPENS IF THE PRODUCT IS DAMAGED? If you find any sort of defect or damages in your order then contact us within 7 days within the time of your purchase.